Members of special counsel Robert Mueller's team are expected Tuesday to describe former Lt. Gen. Michael Flynn's efforts to cooperate with their investigation into Russian interference in the 2016 campaign. It's the first in a series of court filings due this week that could shed new light on the way high-profile witnesses have been behaving behind closed doors. 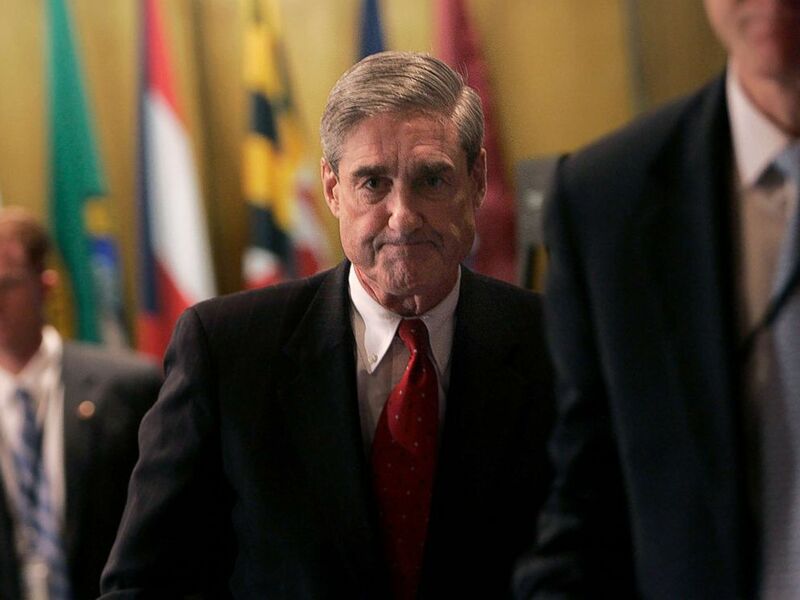 "Ideally, you would have a road map to what we will see in the future," said Renato Mariotti, a former federal prosecutor who's been closely watching the probe. Judges preparing to hand down sentences have set deadlines this week for input about the conduct of three high-profile former aides to President Donald Trump -- Flynn, who served briefly as national security adviser; Paul Manafort, who served a stretch as Trump's campaign chairman; and Michael Cohen, who spent a decade as the real estate tycoon's personal lawyer. Flynn, who also was a close campaign adviser to Trump, agreed to cooperate with the Mueller probe after pleading guilty to lying to the FBI about his communications with Russians. The report due in federal court Tuesday is expected to show he tried to help investigators, a source close to Flynn told ABC News. To date, there have been scant details from Mueller's team about the extent of Flynn's cooperation, including how many times he was interviewed, what he disclosed and whether he fully cooperated to their satisfaction. "The question there is, Will they reveal the extent of his cooperation?" Mariotti said. Later this week, prosecutors from the Mueller team are expected to share new details about Manafort. Last Friday, the judge in Manafort's Washington case held a hearing to set a tentative sentencing date after prosecutors accused Manafort of lying during the interviews that occurred after he agreed to plead guilty to financial crimes and cooperate with their inquiry. The filing, due no later than Friday, is supposed to lay out in detail the lies he is alleged to have told that prompted the government to declare him in breach of their plea deal. The judge in Manafort's Washington case held a hearing last Friday to set a tentative sentencing date for Manafort after prosecutor's told her to precede with the sentencing due to Manafort's breach of agreement. The hearing did not reveal the nature of Manafort's lies to prosecutors, but special counsel prosecutor Andrew Weissman told the judge that Mueller's team would soon publish a filing describing the ways that Manafort had breached his plea agreement with the special counsel. The judge set this coming Friday as the deadline for that filing. Members of Manafort's defense team, who have disputed accusations that he lied to prosecutors, will then have to tell the judge how they intend to respond by Dec. 12. Two months ago, Manafort had agreed to plead guilty to two counts of conspiracy in D.C. District Court. In exchange for leniency, Manafort was required to provide "broad" cooperation with the special counsel, including "interviews, briefings, producing documents, [and] testifying in other matters." Already at that point, a jury in Virginia had convicted Manafort on eight of 18 federal counts of tax and bank-fraud charges. The jury gridlocked on the remaining 10 charges, though Manafort later admitted his guilt to those charges as part of his plea deal in Washington. As talks between Manafort and the Mueller team faltered, speculation spread that Manafort could be angling for a pardon from Trump. Last week, Trump told the New York Post that though a pardon for Manafort had never been discussed, he "wouldn't take it off the table." Also on Friday, the special counsel's office and federal prosecutors in Manhattan are each scheduled to file sentencing recommendations for Michael Cohen, the former personal attorney and long-time confidant of the president. The two cases are separate, but the parties have agreed to have the sentencing determined by a single judge on Dec. 12. In the combined cases, he is facing a potential prison term of 46 to 69 months -- but he is asking the court for leniency, citing his extensive cooperation with Mueller's team and with federal and state prosecutors in New York. In August, Cohen pleaded guilty to six felonies, including tax evasion and false statements to a bank, in connection with his personal business dealings. He also pleaded guilty to two campaign finance violations for his role in securing hush-money agreements with two women who claimed to have had affairs with Trump. Then last week, he entered a guilty plea with the special counsel for lying to Congress last year about the details and timing of a proposed Trump Tower project in Moscow, which was being discussed during the campaign. In a court filing last week, Cohen revealed that he had voluntarily met with the special counsel's office on seven occasions. ABC News reported that those sessions have totaled at least 70 hours. The anticipated court filings from the New York federal prosecutors and from the special counsel are expected to provide insight into what Cohen has been telling federal investigators about the Russia probe and about an on-going, unspecified grand jury investigation in New York. In his plea with the special counsel, Cohen admitted that he had lied about the extent of his communication with Russia about the Trump Tower proposal and about the extent of his communications with the president and his family about the project. Cohen's earlier plea deal with New York federal prosecutors already resulted in him directly implicating the president in campaign finance violations. He told a federal judge in August that he facilitated agreements with the two women, Karen McDougal and Stormy Daniels, "in coordination with and at the direction of a candidate for federal office," referring to then-candidate Trump.